Owly Baby: 30% off Summer Sale! Coupon will be good from today until August 18th, 2011. 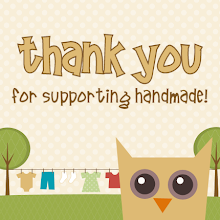 Thanks to everyone for your support in this handmade business!